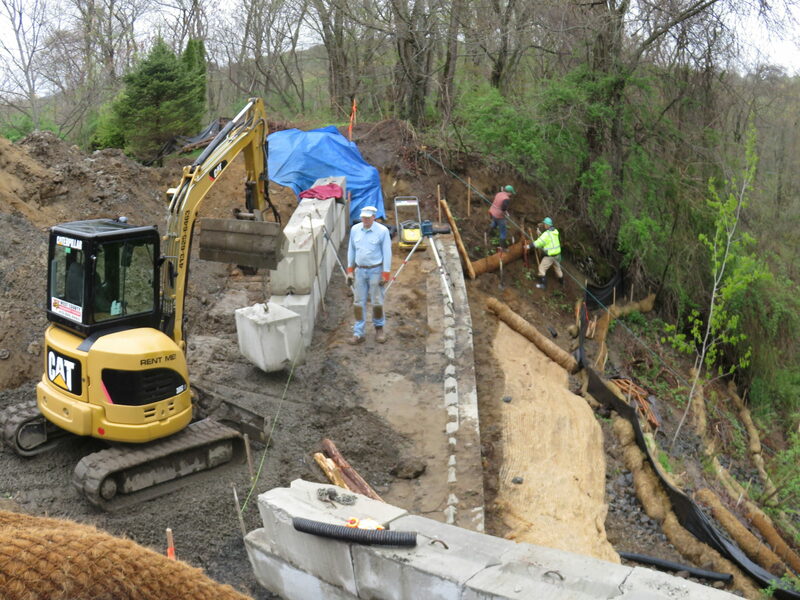 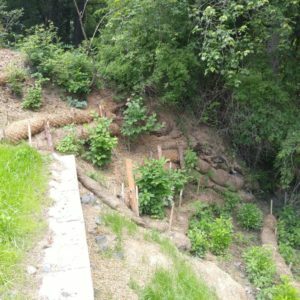 Design-build services to stabilize a failing slope, and re-establish a vegetated wetland buffer using bio-engineering practices. 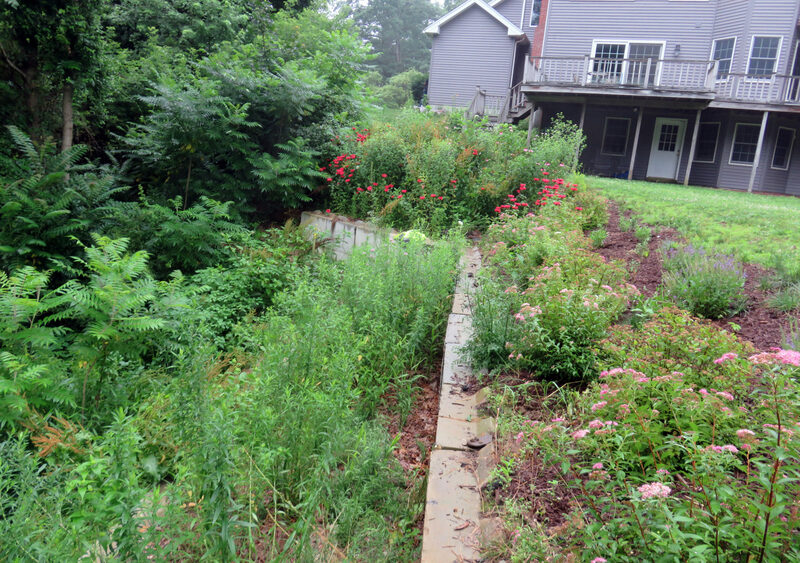 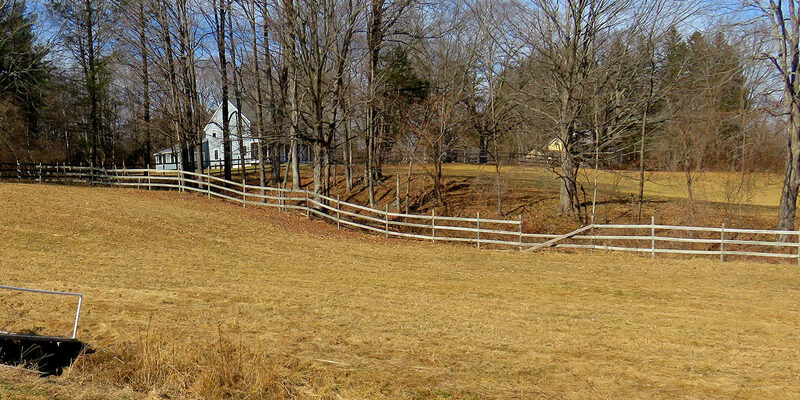 In October 2005, excessive rains washed a section of this site’s backyard into a designated Bordering Vegetated Wetland 50 feet below. 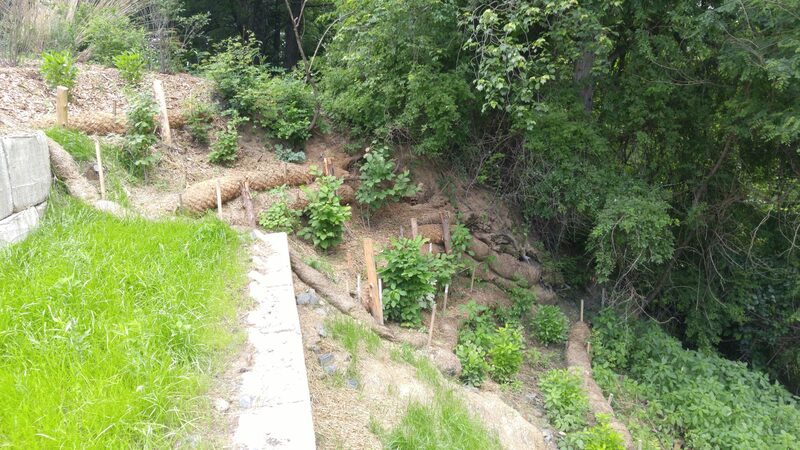 After ten years, our team was brought onto the project to provide an affordable and ecological approach to slope stabilization. 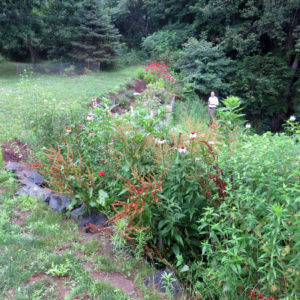 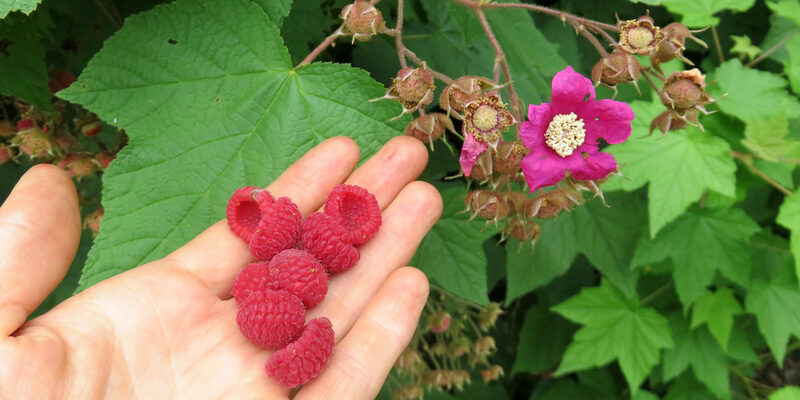 Regenerative Design Group worked with the local Conservation Commission to provide the necessary construction documents and permitting to repair the slope and enhance biodiversity in the wetland buffer. 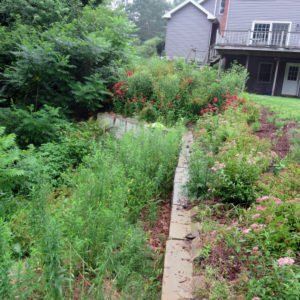 LEED-certified landscape architect Tom Benjamin, of RDG and Wellnesscapes, worked as a lead designer on this project with Jono Neiger, RDG principal and restoration ecologist. 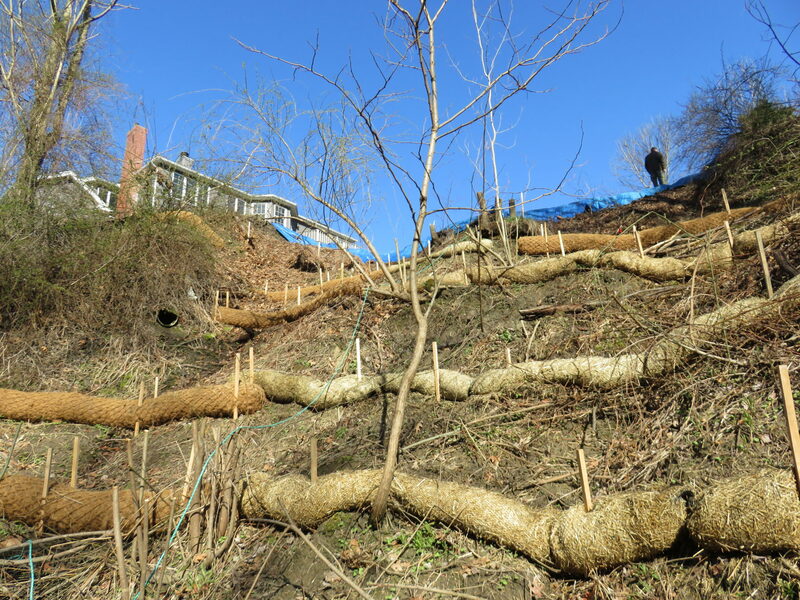 The primary goals of the project were met: the house is safe from further erosion, the bordering wetland is protected, and the yard no longer has a dangerous edge. 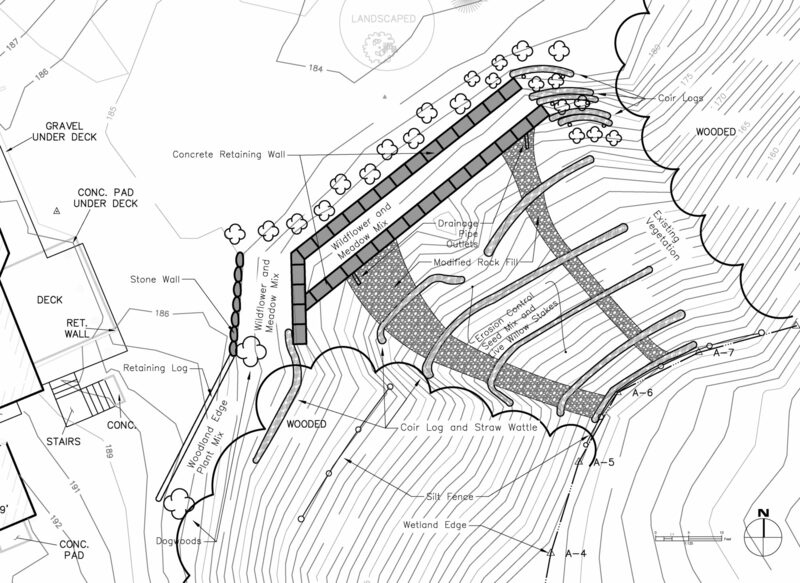 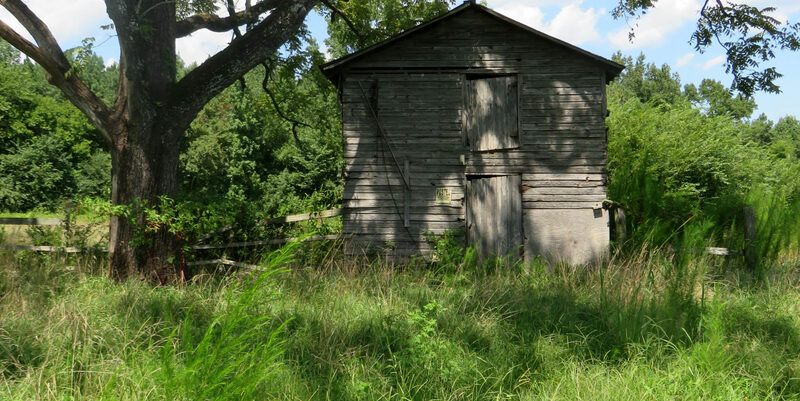 The approach taken was substantially less intrusive and damaging to the existing wetland than plans other engineering firms had provided to the family. 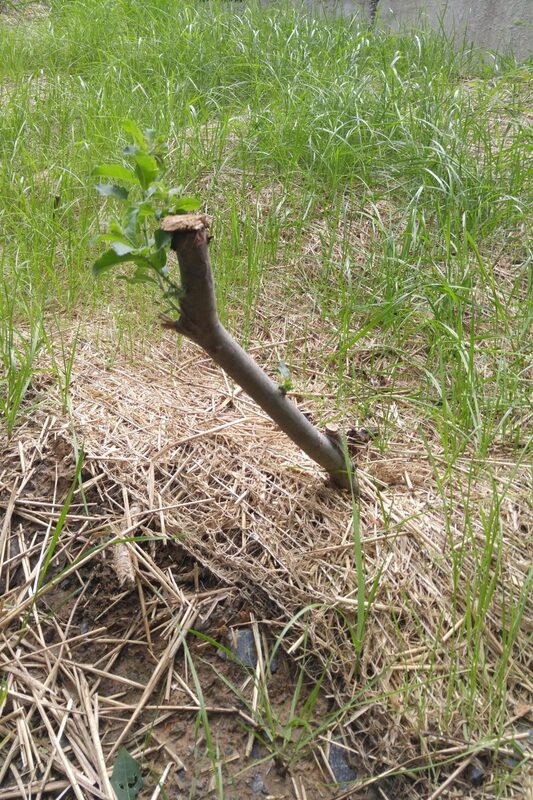 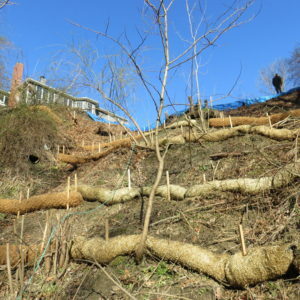 As much as possible, current vegetation was untouched. 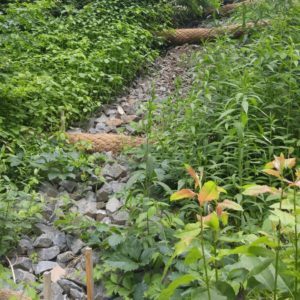 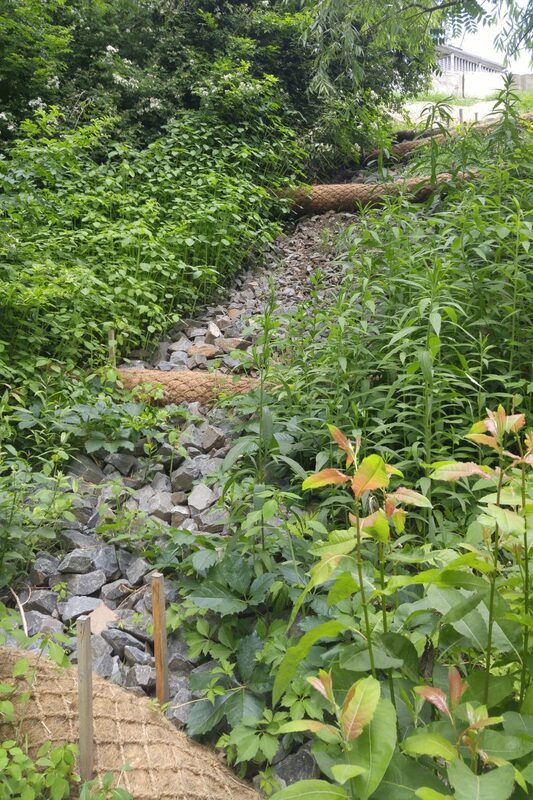 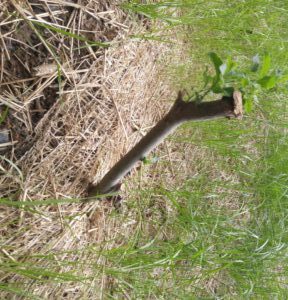 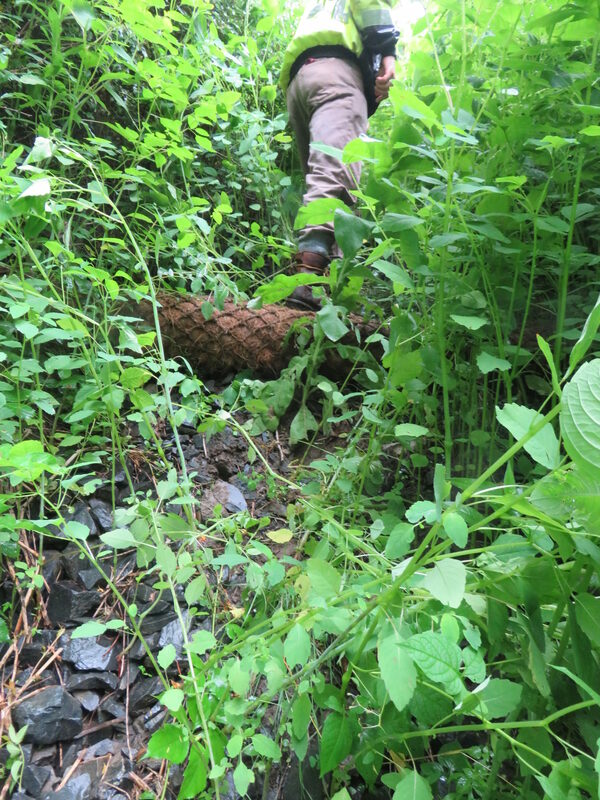 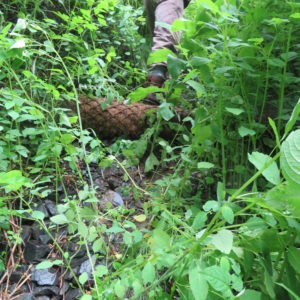 A combination of bio-engineering approaches — coir logs, straw wattle, live stakes, seeding, and stone rip rap along drainage channels — were used to create live slope protection. 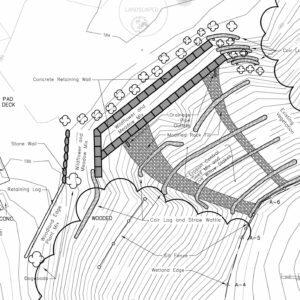 For this project, RDG provided full services from design and permitting documents to implementation and construction oversight. 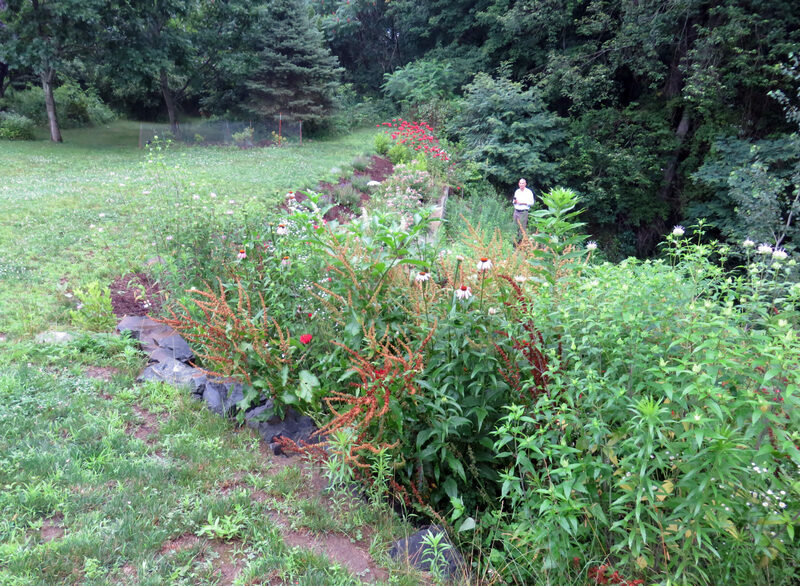 I can not say enough about the exemplary service Regenerative Design Group provided to me and my family. 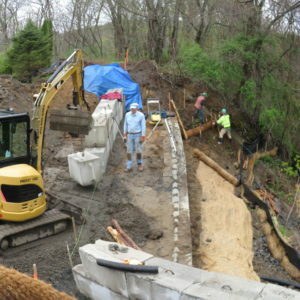 Whether one has a small project or an extremely large one like mine, I would definitely consider speaking with them to get an alternative, environmentally friendly view of what can be done.